I ♥ TO | Me and my love…Toronto. The experiences I have in the city and the cool things that happen in Toronto. From exciting protests to cool new bars that I have discovered. Experience and love Toronto the way I do. Me and my love…Toronto. The experiences I have in the city and the cool things that happen in Toronto. From exciting protests to cool new bars that I have discovered. Experience and love Toronto the way I do. 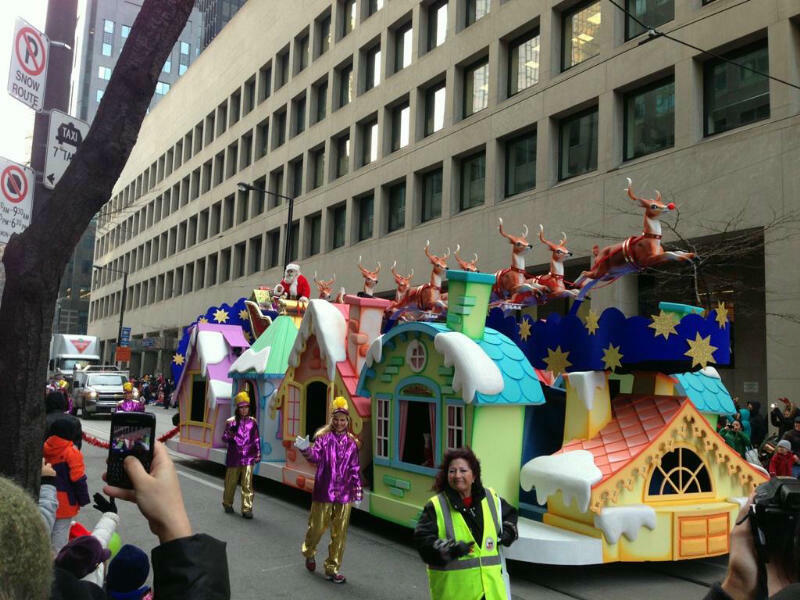 Tis the season to be jolly and the city of Toronto sure showed its Christmas spirit last sunday afternoon for its 108th Santa Claus Parade. So off we went! Megan (a Christmas princess), Kenny (a reindeer), Me (an elf) and Annie (as herself) to go and tell Santa what was on our wish list. And this year I was a good boy!!! The Santa Claus Parade started at Christie Pits and Bloor around 12:30 and finished around the St. Lawrence Market on Front where we awaited the jolly old elf. The streets were filled with children catching candy canes and drawing with chalk on the road. The parade consisted of snow princesses, monkeys walking on their hands, giant snow men, marching lines of drummers, and Santa Claus himself. 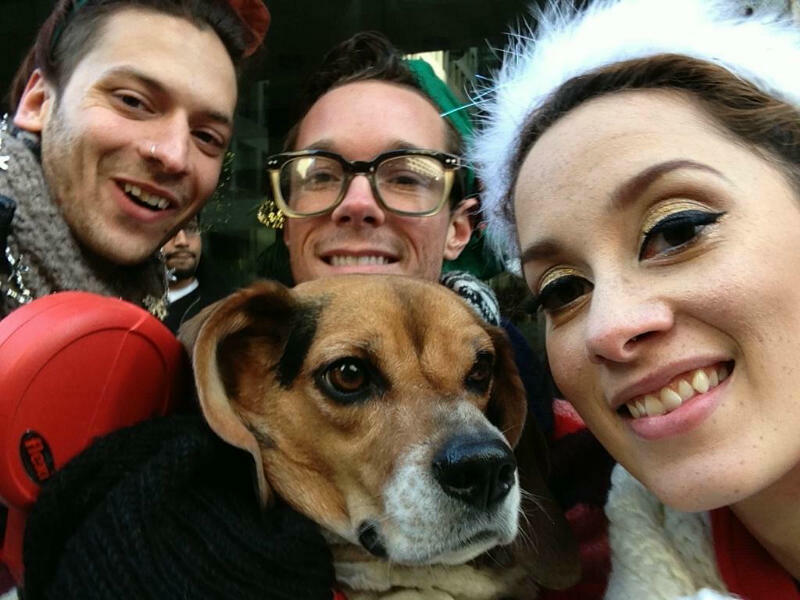 Posted by cole7 on November 20, 2012 in Humour, I ♥ TO, Lifestyle, Review, Toronto and tagged Christmas in Toronto, Christmas Parade, I ♥ TO, I heart TO, I love TO, I love Toronto, Santa Claus, Santa Claus Parade, The Santa Claus Parade. This week my friend Tammy was in town and we decided to get together to catch up on our lives. Tammy insisted that we go and see a show. I agreed, as long as we were able to grab a few drinks first. 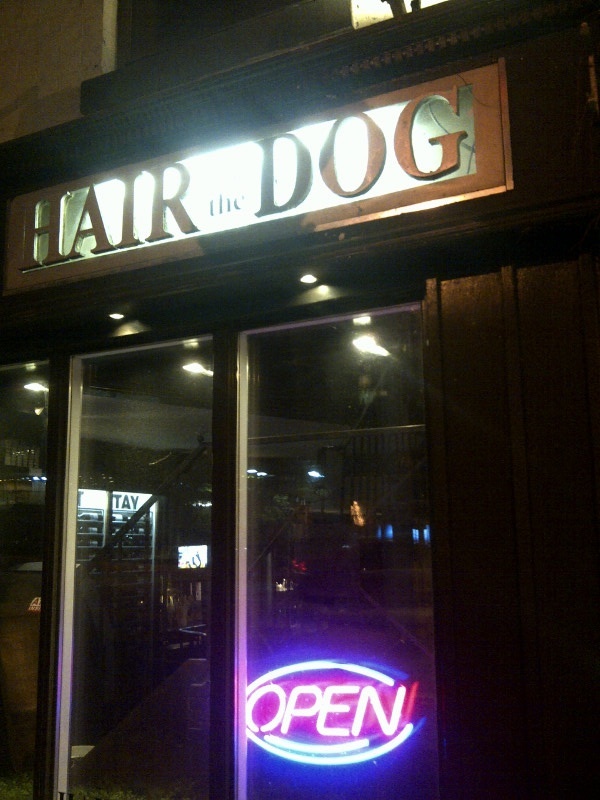 So, on our way to the theatre we decided to stop by Hair of the Dog to get a little tipsy and fulfill our hunger. Located on the corner of Church and Wood street, this was a very cozy spot to eat. It was very, what I like to call, hole-in-the-wall charming. There was a main floor, as well as a second floor that all contained a darker lighting. It was the perfect venue for Tammy and I to get comfortable and catch up over some beer. My pick was not a very good option so I won’t focus on my meal. But, for future reference don’t get the crab dip. 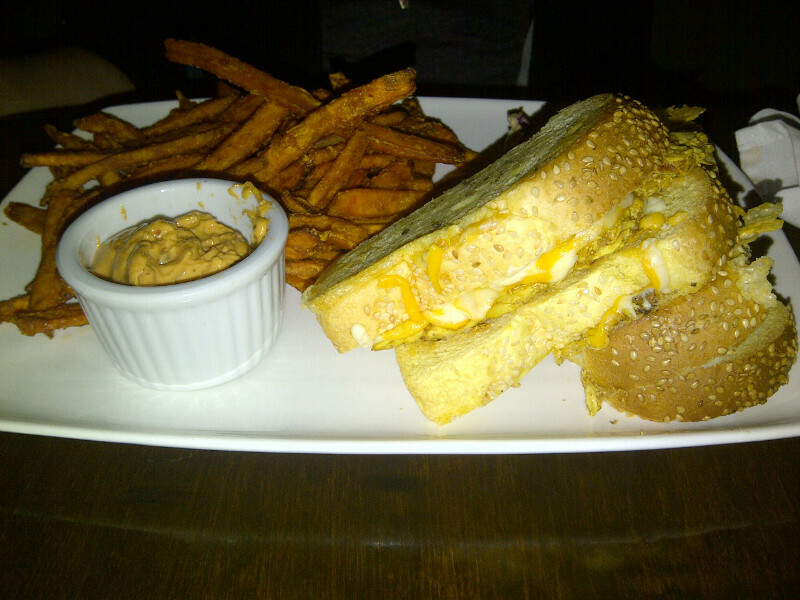 Tammy got the curry chicken grilled cheese sandwich with sweet potato fries. I mean it speaks for its self. So if you are in this area, definitely drop by Hair of the Dog for a great cozy venue and some tasty drinks. Posted by cole7 on November 13, 2012 in bars, Food, Humour, I ♥ TO, Lifestyle, Review, Toronto and tagged bars, grilled cheese sandwich, Hair of the Dog, Hair of the Dog pub, I ♥ TO, I heart TO, I love TO, I love Toronto, pubs. On the corner of Dufferin and Queen you can find a bucket list outlined on a chalk board for anyone to write their desired wish in life. 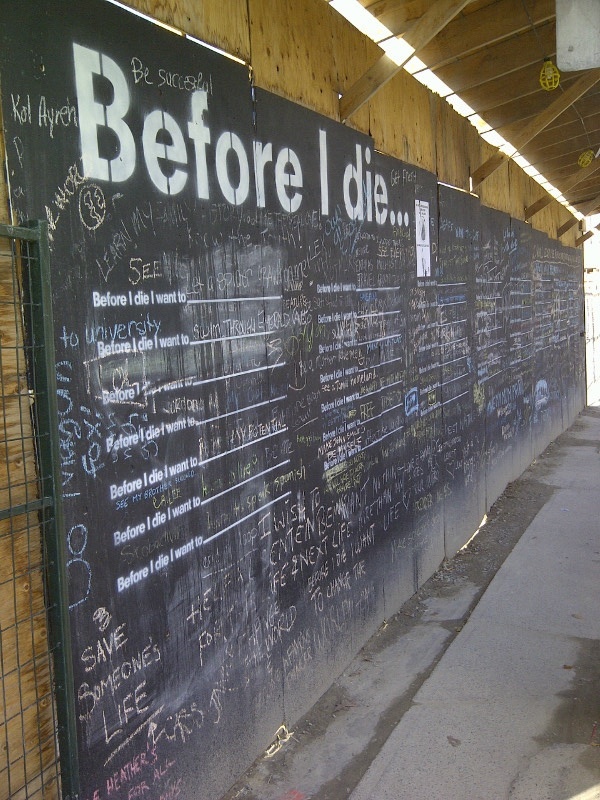 With a large title of “Before I die…” and spaces left blank for the addition of dreams, this blackboard is over packed with the dreams of the Toronto public. The amount of aspirations found on this board is very charming and uplifting. So, why not show Toronto what you dream of doing before you die? Posted by cole7 on October 23, 2012 in I ♥ TO, Only In TO, Toronto and tagged Before I die..., blackboard bucket list, bucket list, Bucket list on a blackboard, I heart TO, I love TO. A while ago I had an amazing experience making sushi and now I am finally writing about it. We had a work thing for the end of the Summer at Fortinos in Etobicoke where we got to make sushi and roll it from scratch. Now normally cooking is not my expertise but sushi is raw, so I thought that I would stand a better chance. So off we went to the President’s Choice Cooking School to roll some wonderful sushi. 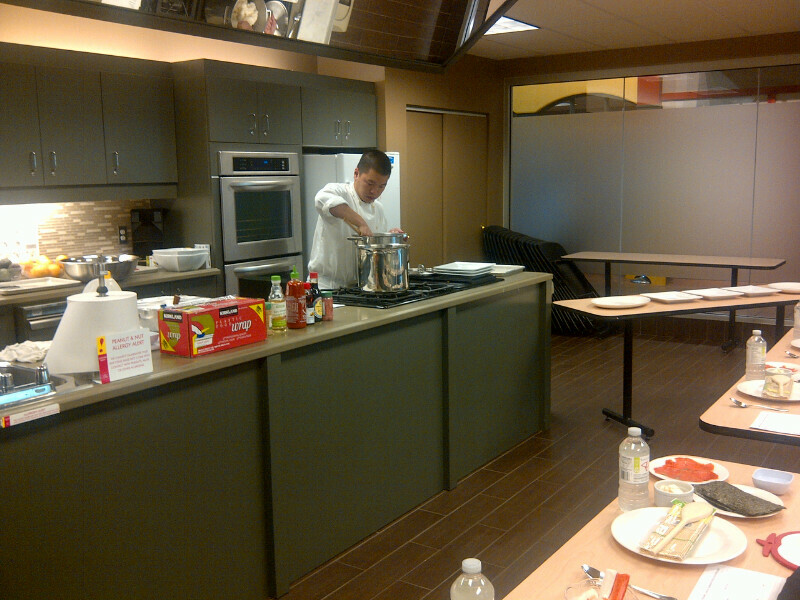 The Cooking School at Fortinos brings in celebrity chefs that teach you their specialty in the kitchen. And the second we walked into the kitchen we were in business equipped with mounds of raw fish. We also had a wonderful selection of raw fish to pick from like shrimp, crab, and salmon. Our chef showed us how to cut the sushi to get the most of the meat. We also learned how to properly make the sticky rice and how to lay out all of the ingredients to make the perfect role. I was able to make shrimp sushi, a California roll, and spicy salmon. Unfortunately I found out that I was no better at rolling sushi than cooking in the kitchen. But all in all we had a wonderful time. Posted by cole7 on October 16, 2012 in Food, Humour, I ♥ TO, Lifestyle, Review, Toronto and tagged cooking school, Fortinos, homemade sushi, making sushi, President's Choice Cooking School, sushi. Centro Restaurant and Lounge was the spot Kenny and I found ourselves dinning this past weekend. 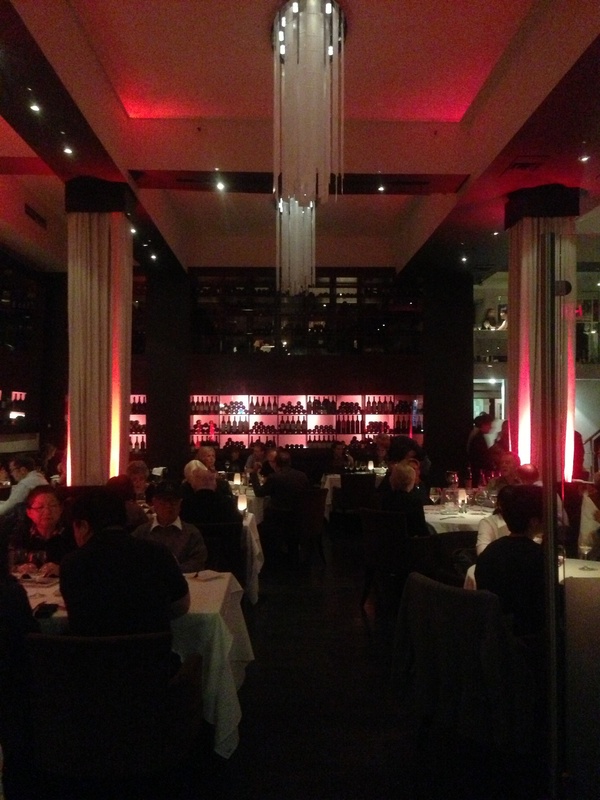 Located just north of Yonge and Eglignton, Centro is the place to go for a romantic fine dinning experience. I was lucky enough to have been given a Groupon as a gift to dine here. This place might not be easy on the wallet, but the food and service stands alone. You will find yourself served by waiters suited in white within a very dimly lit dinning hall. With a nice bottle of red wine Kenny and I were ready to start our beautiful dinning experience. Our Groupon deal was giving us the opportunity to share an appetizer, each have a main course meal, and then finish with a dessert. 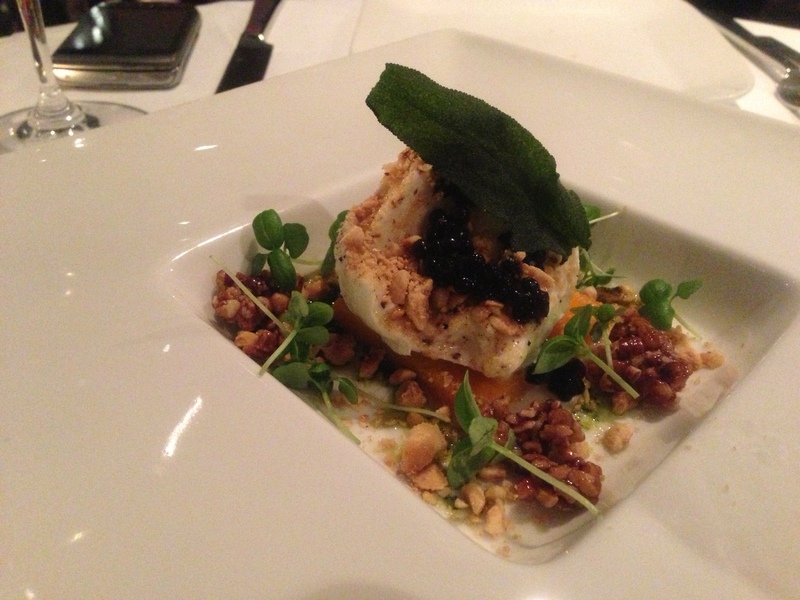 We started off with the delicious Buffalo Mozzarella with a tomato basil puree, focaccia croutons, and balsmic pearls. I had the daily beef presentation of the New York sirloin cooked rare. This wonderful dish was accompanied with potato and gruyere gratin and a side of green beans and a breaded onion ring. 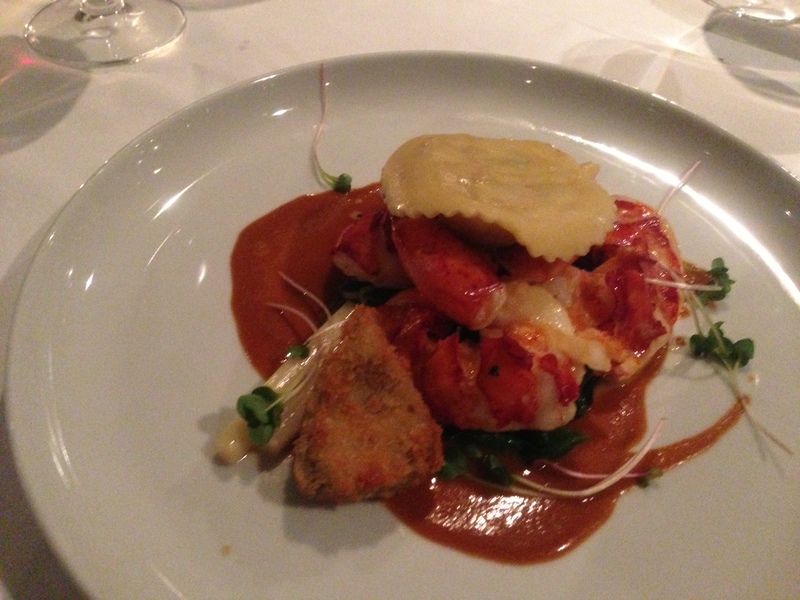 Kenny chose the Butter Poached Lobster served with mushroom-lobster ravioli with asparagus. We finished off with a single scoop of ice cream, sorbet, and gelato for dessert. If you are looking for a place to take your loved one for a beautiful dinner, head up to Centro for a beautiful fine dinning experience. Posted by cole7 on October 9, 2012 in Food, Humour, I ♥ TO, Lifestyle, Review, Toronto and tagged bar, Centro, Centro Restaurant and Lounge, fine dinning, I heart TO, I love TO, I love Toronto, Lounge, toronto restaurant. 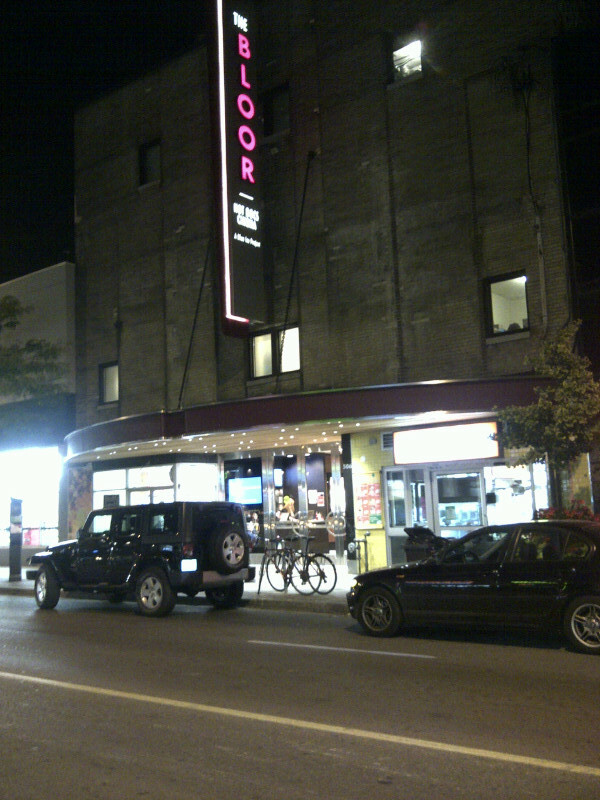 Last Wednesday I had the opportunity to go to the Bloor Cinema to watch a screening of ‘Wish Me Away.’ This Hot Docs theatre is located at the corner of Bathurst and Bloor and provides an intimate venue for its audience. I was not expecting to cry but this beautiful documentary about Chely Wright, the first country star to come out as gay, was incredibly moving. The film touched upon the challenges that Chely faced with coming out as a gay individual in the very conservative music environment of Nashville. The film documents the three-year process on how Chely planned to come out as a gay country star to the public. The challenges she faced in accepting her own sexuality as well as facing retort from her fans was by far the most moving movie experience I have seen in a while. The best part of the film was the fact that Chely stopped fearing the rejection from the country music industry and started striving for the rights of the young LGBT community. This is a must-see film if you are in the mood to cry, to feel inspired, and see the endurance of love for an individual by their family despite their sexual preference. One thing I can say in confidence is I am proud of Chely and her bravery. Chely is a hero for those individuals who are afraid of being themselves and has made a difference to many troubled LGBT youth. Posted by cole7 on October 2, 2012 in I ♥ TO, Lifestyle, Review, Toronto and tagged Bloor Cinema, Chely Wright, Documentaries, Film Festivals, Hot Docs, LGBT rights, Movies, Wish Me Away. The other day when I was walking down the street I discovered a colourful bike abandoned on a bike rack. 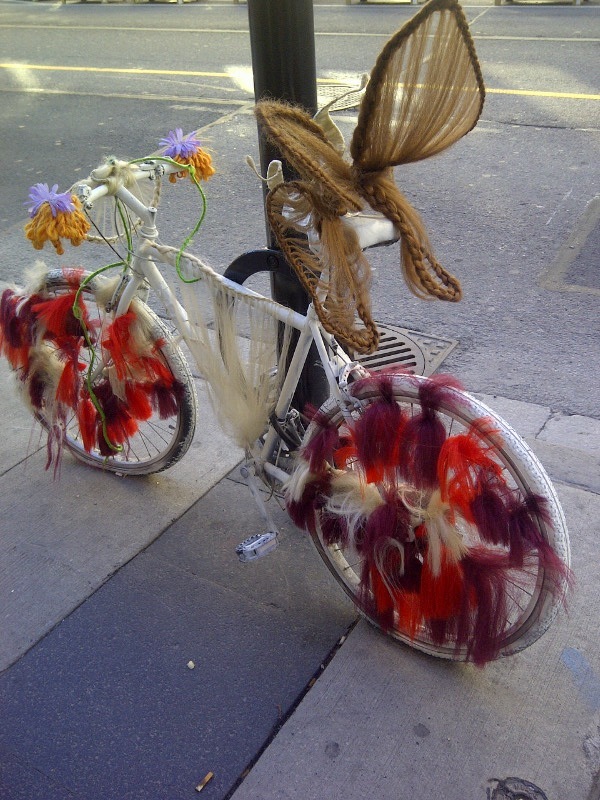 It was clear that this bike was more decorative than functional and it sparked some interest. 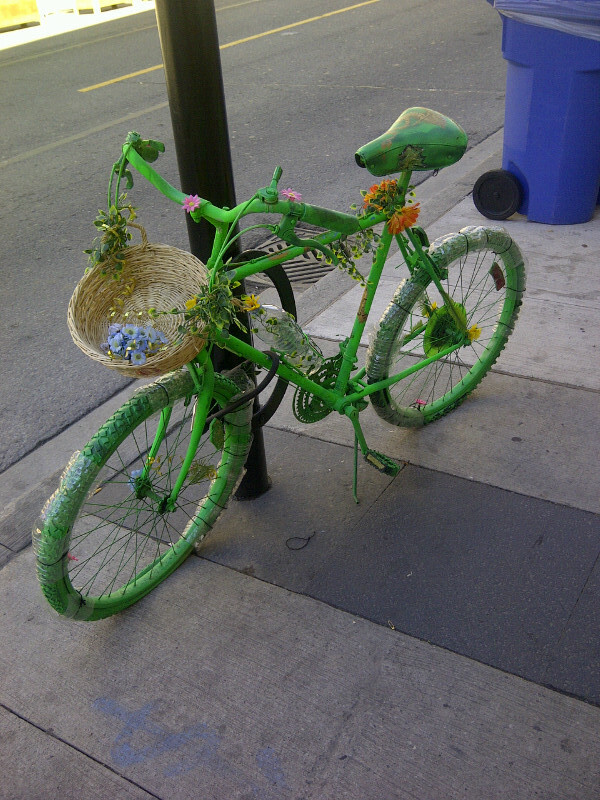 I later started finding more bikes around Toronto and thought I better find out more about this bike art. This project was founded by Caroline Macfarlane and Vanessa Nicholas which led to the placement of 150 art inspired bikes around the city. “The Good Bike Project” may have started outside the OCAD University Student Gallery, but now is being spotted in many different neighbourhoods in the city. This very ‘green’ bike really caught my eye with its rims lined with ivy! The next bike I found was a very theatrical representation that you could probably find in some sort of glitzy Mirvish production. 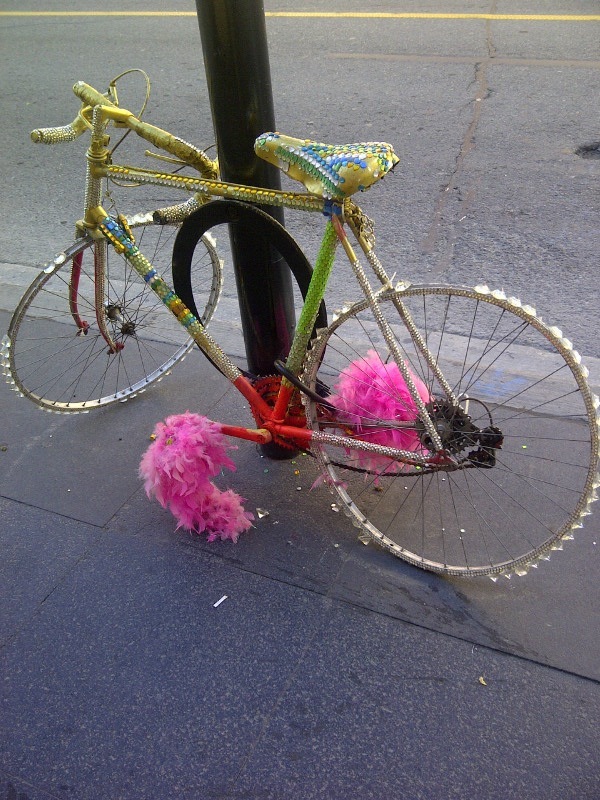 This bedazzled bike not only had diamond lined wheels but also had pink fluffy pedals! I really suggest you keep your eye open next time you are walking around the city, you may find an abandoned decorative bike! Posted by cole7 on September 25, 2012 in Humour, I ♥ TO, Lifestyle, Review, Toronto and tagged bike, bike art, I ♥ TO, I heart TO, I love TO, I love Toronto, The Good Bike Project, Toronto art. 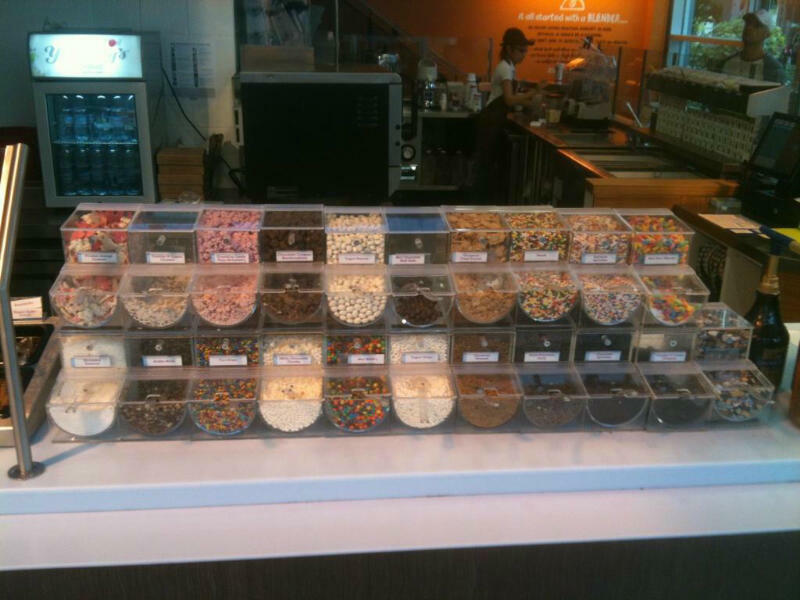 Yogurty’s graced Liberty Village with its presence this past August and we are all extremely happy about it!! So as we were running some chores in the area this weekend we decided to stop by the Jamba Juice section of this store for a few smoothies. Heather was very happy with her Mega Mango smoothie. Kenny’s decided to be a little more health conscious with the Acai Super-Antioxident smoothie. I of course wanted a Pina Colada flavored smoothie that was not on the menu, but the friendly smoothie girl was happy to oblige my wishes. Also if you are a fan of the classic Yogurty’s style, you have to go to the yogurt bar where you can pick your own choice of toppings to create your very own soft serve dish. 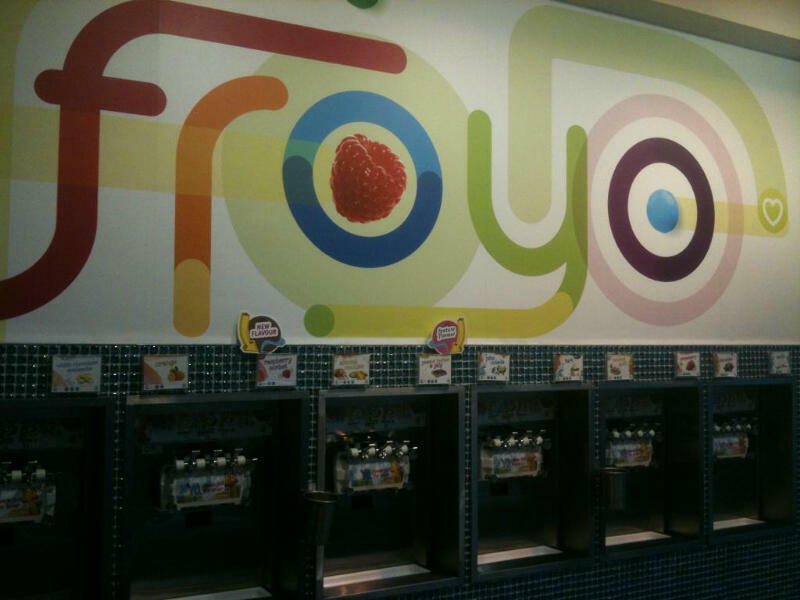 Posted by cole7 on September 18, 2012 in Humour, I ♥ TO, Lifestyle, Review, Toronto and tagged I ♥ TO, I heart TO, I love TO, I love Toronto, Jamba Juice, smoothies, yogurt, Yogurty's. Williams Landing is the place to go in Liberty Village if you are looking for a killer patio. This new hot spot has a great venue with an island bar surrounded by very modern decor seating. But the best part of this restaurant is the great balcony patio that looks into the heart of Liberty Village. So last Sunday, we decided to grab some afternoon drinks. As it was Sunday everyone ordered their usual Caesar. But, I of course had to be different and order my regular dirty vodka martini. The boys and I decided to share the sliders for $12. These cute mini burgers were very tasty with cheddar cheese, dijon mustard, and their home-made pickle chips. So if you are in Liberty Village and want a spot with a great view of this charming neighborhood Williams Landing is the place to go. 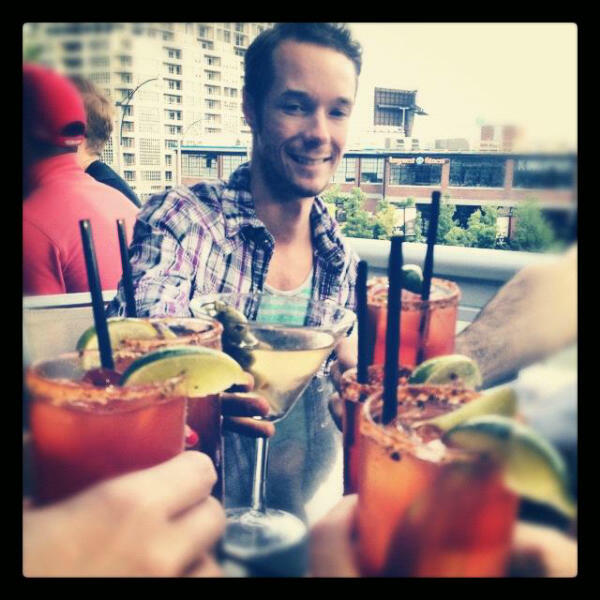 Posted by cole7 on September 11, 2012 in bars, Food, Humour, I ♥ TO, Lifestyle, Review, Toronto and tagged bars in Liberty Village, drinks at Williams Landing, restaurants in Liberty Village, Slidders at Williams Landing, Williams Landing. 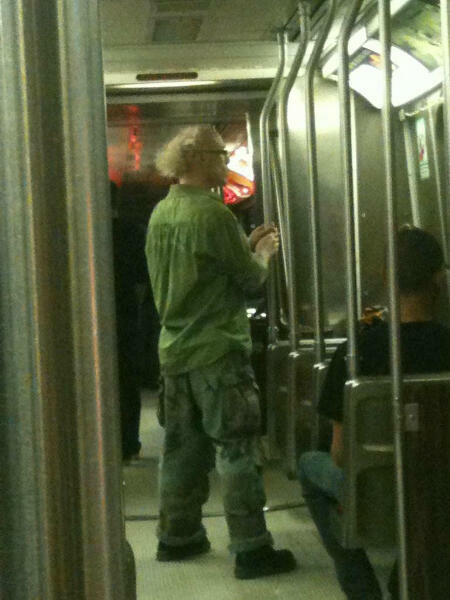 You always have to love the TTC and the strange haircuts you find. Posted by cole7 on September 6, 2012 in Humour, Only In TO and tagged funny, funny haricuts, I ♥ TO, I heart TO, I love TO, I love Toronto, strange haricuts.